The Circle Jewelry Display Pad comes covered in black velvet, making displaying jewelry a beautiful thing. These pads protect your jewelry from surfaces that can easily damage or scratch your product. The different pad sizes ranging from 3, 5, 7, and 9 inches allows you to display 3 or more jewelry at the same time. Not just sizes, we have colors to choose either in black or white. 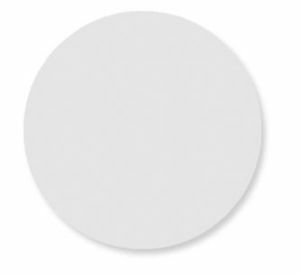 American Retail Supply offers the Circle Jewelry Display Pads individually instead of the usual cases.